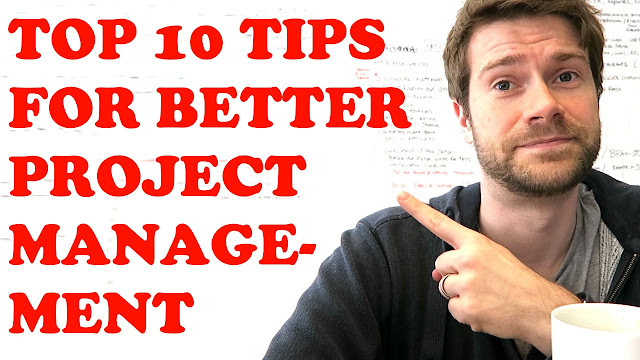 You want to measure projects better and faster then read my top 10 tips for better project management, I'm the project manager so I'm doing project management to earn a living, I've done a couple of thousand projects in different companies with all kind of management levels during my time as a project manager, I learned a lot of useful tips from some of the high skills project management I ever met so these here are my top 10 tips for better project management tip. SEE: Project Management Professional (PMP): All You Need To Know About It! #Tip number nine when your project is done evaluated when the project is done do some feedback lessons with a team with a management board or with a steering committee to find out what you have learned during the project it is very important to take the learnings from your project so you can improve your work for the next time.